Hi everyone I'm Jack Red, today I think it's time for me to talk about the other Resident Evil movies. I already talked about the live action movies that are mixed by most people in another blog. I'm here to talk about an animated Resident Evil movie series. As a bonus I also will be reviewing Biohazard 4D-Executioner. In another Resident Evil blog where I talk about the game time line. I talked a great deal about most of these movies. You could say this is the original Resident Evil movie predating the first live action one by two years. In my opinion this is one of the absolute best Resident Evil movies you can find. Originally set up as a part of a ride in Japan at a theme park. This may be the shortest Resident Evil movie being around twenty minutes. At the same time you quickly see yes there could exist a good Resident Evil movie. Yes it's true this is rather a stand alone movie not fitting in any canon. Clause in this movie is considered a prototype character for RE4's Jack Krauser. This will scream what you love about Resident Evil. Possibly the best animated video game movie I ever seen. This takes place between several Resident Evil games. Leon got meet up with Claire who last seen each other back in Raccoon City incident. You will notice several things that will make some things more clear in later Resident Evil games. I also like some of the key moments from Resident Evil 2 got referenced. 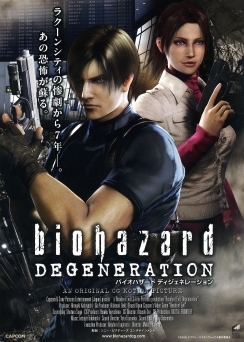 Resident Evil: Degeneration may not have the best story. A lot of action through out the movie but done better than most live RE movies. This was a good Resident Evil movie for it's time. A couple years later for Claire to return in Resident Evil: Revelations 2. Also I always considered G-Virus as the worst virus in all of Resident Evil. Which this movie proves my point. This takes place between several Resident Evil games. Leon was suppose to pull out after giving a report relating what's going on in that country. He decided to take a stand to figure out whose behind it. This continues Ada secretly helping Leon out theme. You find out tyrants are still around long after Umbrella closed down. I thought it was interesting some soldiers took a risk to control lickers by being infected. Obviously this is action heavy for an Resident Evil movie. I will say the characters are a little more interesting this time. 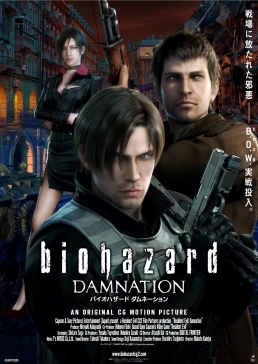 I still felt this isn't as good as the previous animated Resident Evil movies. I would say it is still better than most live action RE movies. Many fans including myself long awaited for fan favorite Rebecca Chambers to return. A little over twenty years in fact. I would say this could be the best Resident Evil movie yet. This takes place between several Resident Evil games. Once again Leon and Chris must stop a black list arms dealer from causing more viral outbreaks. In one of his outbreaks, Rebecca barely cured herself. I felt this movie plays everything out perfectly. I honestly can't name a single major dislike towards it. One weird thing is how Chris was acting in RE6, Leon becomes upset like that in this movie. I also like more critical story stuff that could bring more interesting stories together in the near future. Before I get to rank all these Resident Evil movies. Did you notice how long we had to wait for each one? Honestly I prefer the work that goes into these movies than those live action ones. To me these came more off like real Resident Evil movies. A lot of potential still waiting to use in the near future. Now it's time to rank all movies from worst to best. Good news is even the worst among these is more rewatchable than the entire live action series.